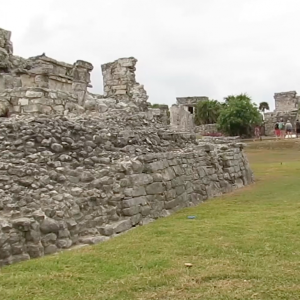 While the modern city of Tulum is a haven for tourists, the settlement actually gets its name from a much older place- the ancient Mayan city of Tulum, which has laid in ruins for over 700 years. 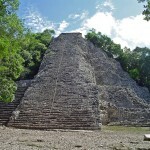 The only known Mayan city by the sea, this is a unique place that’s steeped in history. As you enter through a gap in the long, winding wall that once enclosed the city, you’ll see dozens of hills that mark where the buildings of the once-thriving city stood. Look a little closer, and you’ll see plenty of traces of the Mayans, from walls and ruins, to the incredibly well-preserved Temple of the Frescoes, complete with a vast mural. 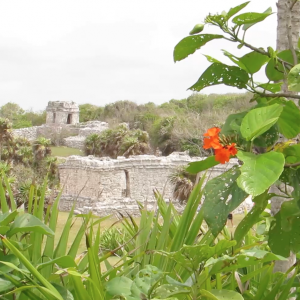 For anyone who wants to learn more about the Mayans and their culture, a Tulum ruins tour from Tulum is the perfect place to start! 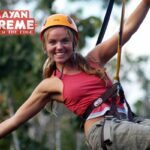 Your Tulum cenote tour begins with you being picked up directly from your hotel in our air-conditioned tour bus, before we make our way out of the city and over to the ruins themselves. Tulum is one-of-a-kind among Mayan ruins, since it is the only one located by the sea. As your expert Tulum ruins tour guide will explain, the city was once a prospering port, and the people here made their fortunes trading turquoise and jade. 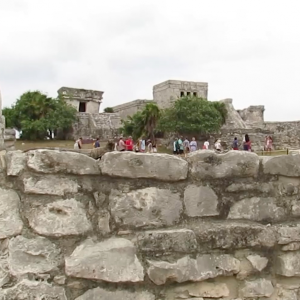 In addition, the Tulum ruins are one of the few Mayan cities enclosed by a wall, which is an incredible 7 meters thick. 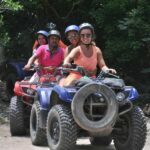 During your guided tour, you’ll be taken all over the ruins, and have all the major sights pointed out, against the beautiful backdrop of the Caribbean. Once your guided tour has finished, you’ll then be given an hour to spend as you please. You can continue to explore Tulum or alternatively, you can take the opportunity to relax on the beautiful sandy beach, and top up your tan. If you do want to keep looking around, then we suggest you start with the most popular spot in the ruins, the Castillo or castle. To get there, you’ll need to take a hike up the narrow cliff path, but it’s certainly worth it once you get up there. As well as the castle, you’ll also be treated to fantastic views out to sea, making it a great place to take a few photos for your vacation album. Right next to the Castillo lies the Temple of the Frescoes, by far the best preserved building on the site. This place was once used for Mayan religious rituals, and that unique holy atmosphere can still be felt all around you as you step through the door. In front of you lies a vast mural, which depicts the worlds of the living, the dead, and the gods. Not only is this one of the most incredible pieces of Mayan art around, but it also tells us a lot about the beliefs of these ancient people. Just above the temple doorway, you’ll also see a statue of a strange-looking winged god, which was believed to protect the city- if you look closely, you’ll also see it painted on many of the buildings throughout the ruins. After you’re all done at Tulum, the day isn’t over yet. Your Tulum cenote tour will then continue at a private adventure property, where you can enjoy a whole afternoon of aquatic adventure. 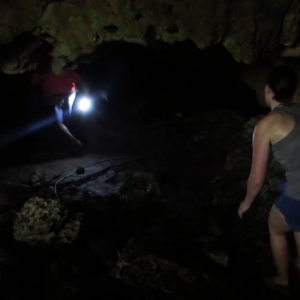 There are three different cenotes on the property, giving you a great opportunity to try your hand at cave diving. These cenotes look like mere sinkholes in the ground, but actually open up into enormous underground lakes and lagoons, perfect for cooling off from the hot Mexican sun. 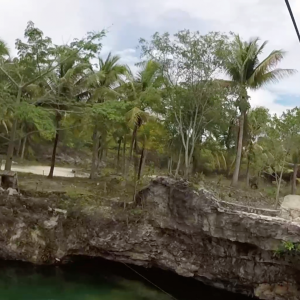 If you’d rather experience a different kind of thrill, then you can take one of two aquatic ziplines over the water, or a treetop zipline which will see you whizzing across the forest at hair-raising speeds. Once your tour is over, we’ll then take you straight back to Tulum, so that you can relax after a busy day. As you can see, this tour is packed full of unforgettable moments, so make sure you book your place today! Hotel pick up approximately 8:30 a.m., Tour returns between 4:00 – 5:00 p.m.